Given the slow changes in the design of the PSP, combined with Sony getting on board with downloadable games, means a revolutionary new design could be on the cards, to help it in the battle with Nintendo and the DS. Designer Tai Chiem has come up with a new idea based on flexible OLEDs, which are moving steadily closer to reality. The display would roll out of a stick-like device, then an electrical charge would stiffen the screen to give huge display estate for gaming. It will also feature a camera and stereo speakers, which double as jog dials and controls for the device. 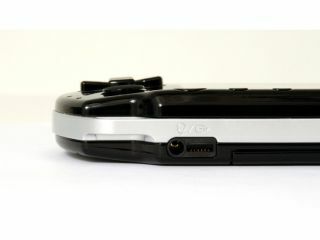 The other idea is to FINALLY put two joysticks on PSP 2, in the manner of the PlayStation. Now that would be something gamers want now, not in 10 years time. Anyway, check out Yanko Design to see more pictures of the conceptual device.